When I think about how long it took George Harrison to pass away I always think it was a lengthy process. In actuality, it wasn’t. It was rather quick but so much happened at the end. A couple of years before his death, someone broke into his home and stabbed him 40 times because they thought The Beatles were witches from Hell and rode on broomsticks. It was in the middle of 2001 when Harrison underwent surgery to get rid of a growth in his lungs. Couple that with treatment for a brain tumor mere months later, he did a lot of living quickly…and he’s the lead guitarist for, arguably, the biggest band in the world! Something that kept popping up as he was going through treatment was his doctor. Can’t remember his name, it’s pretty irrelevant now. There were stories that even weeks before he passed, George was being asked to sign all sorts of instruments and memorabilia for the Doc. I was never sycophantic about George Harrison, or The Beatles, but this is just something that’s always bugged me. Being in one of the biggest bands in the world, you make a lot of friends. Talented friends. People like Eric Clapton, Tom Petty, Jeff Lynne, etc. When Freddie Mercury passed away in the mid 90s, an all-day all-star concert was put on at Wembley. It was a nice affair but seemed more commercial than anything. 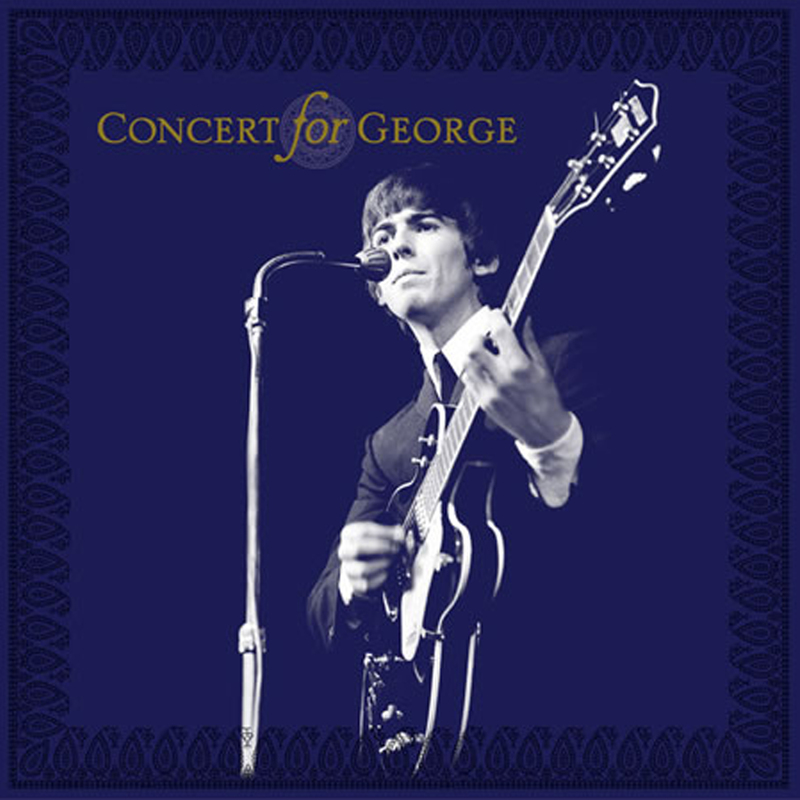 When the people organizing the Concert For George, there seemed to be a genuine thought about what they were presenting and it can be summed up in one word…love. The concert was held on the first anniversary of George’s death. I know it’s cliche, but everyone was there. It was a summit of who’s who in the music industry of when Harrison “was fab”. Eric Clapton was the one that organized it and I don’t think he had to call in any favors when it came to asking people to perform. Not long after, the official CD / DVD were released and I noticed that a couple of tracks on the DVD were not on the CD recording. I was a completest back then, and still am to a point today. One Saturday afternoon I sat down in front of the TV and figured out how to get the audio straight from the TV to my Sony Mini-Disc recorder. Two and a half hours later, I had the raw audio and went to town slicing and cutting all the really long silences and transitions. Still wanted the feel and vibe of the concert, but didn’t want to wait 7 minutes between artists. From the audience, it looked like everyone was happy to be onstage showing love and honor for a dear friend. Everybody was smiling. Everybody having a good time.